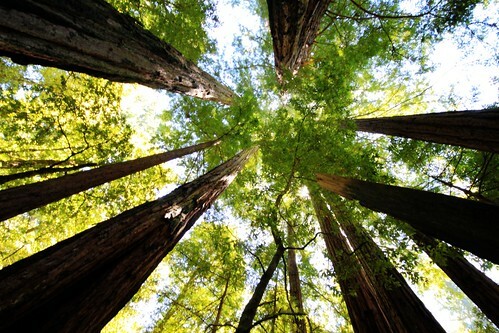 For the memorial day long weekend, I drove to the Big Basin Redwoods state park. 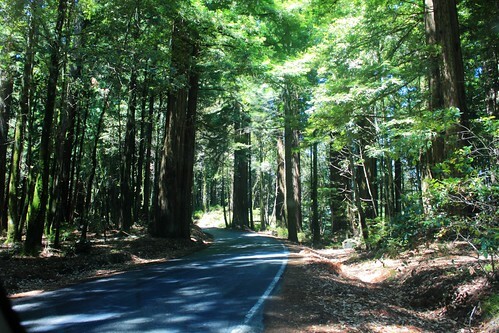 The drive around the park area was really nice as it is covered with big redwood trees. I spotted a few deer as well. The road is very curvy and narrow; at times you have only one lane - so you have to be careful when driving and enjoying the view around you. I parked the car in the park headquarters ($10 for parking, $5 for the map) and hiked about 10 miles. It was a good workout for me and the trails are spectacular and covered with large trees and a water stream flowing close by. 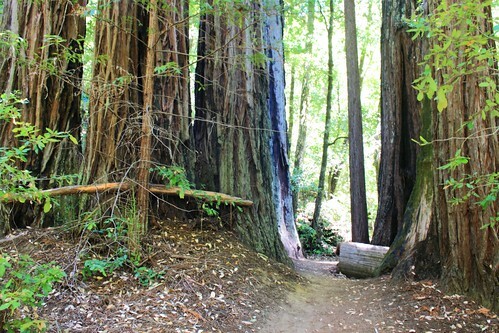 Make sure to take the trail Skyline-To-The Sea Trail to Berry Creek Falls to Sunset Trail if you want to see the beautiful waterfall. The total round-trip distance is about 10 miles. You'll need 6 to 8 hours to cover this particular route and enjoy the surrounding. It was a little hot and humid on that day. You better take a big bottle of water with you as you get dehydrated quickly there.